I call this one "Berry Antioxidant" salad. 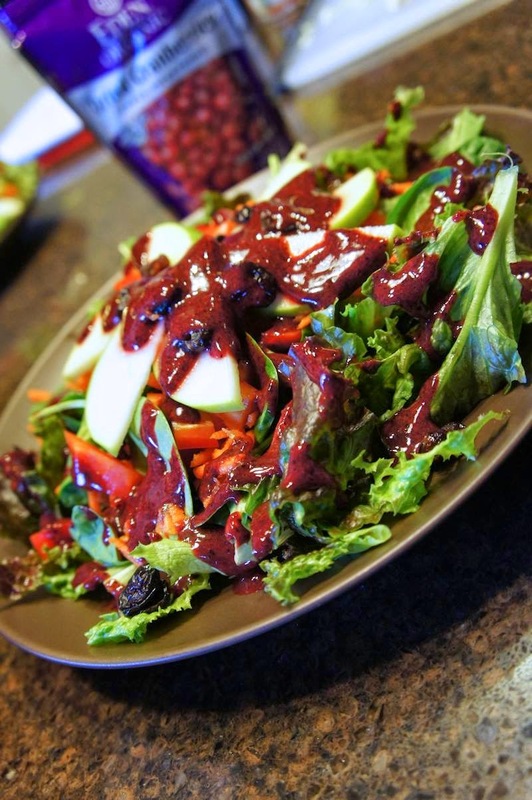 It's comprised of red leaf lettuce, spinach, shaved brussel sprouts, red bell peppers, shredded carrots, fruit juice-sweetened dried cranberries, granny smith apple, vegan bacun bits, and homemade berry dressing (oil free!). Dressing recipe, below. 2 t. organic balsamic vinegar. Blend smooth in high-speed blender.